Kids love to color & paint their own unique home. Little Houses provides a creative workshop for little kids to explore their place in the world by creating their own home, town or city. In their early years, children and toddlers draw many different types of houses. Little Houses offers 12 different scenes & themes that help children imagine and experiment with the world around them. Little Houses was made especially for little kids’ abilities, to empower their imagination and creativity in a safe play environment. It was made to be so simple that even toddlers can create their world, just like older kids. A house is a meaningful archetype for a child; it connects the child to the world around him. Many times, kids build and play with houses when they want to explore their position in the world. By drawing a house, they can represent their thoughts about themselves and their environment. Free download includes free-to-try scenes without any obligation to purchase. One-time in-app purchase will unlock all 12 scenes. In-app purchase bonus: 6 top classical music soundtracks: Your child will create little houses and cities while listening to Bach, Pachelbel, Vivaldi & More! There is no time pressure, no points and no wrong answers. Just a free to explore environment that empowers your child's imagination and creativity while listening to classical music. Enjoy! - Little kids project their feelings onto the home they make. This is a great starting point for discussion about their inner feelings. - Encouraging & safe environment for creation: It’s easy for kids to create, to remove parts of their design that they don’t like and to re-create. - So easy to use, even toddlers can create art like big kids! It was developed with the help of educational psychologists. 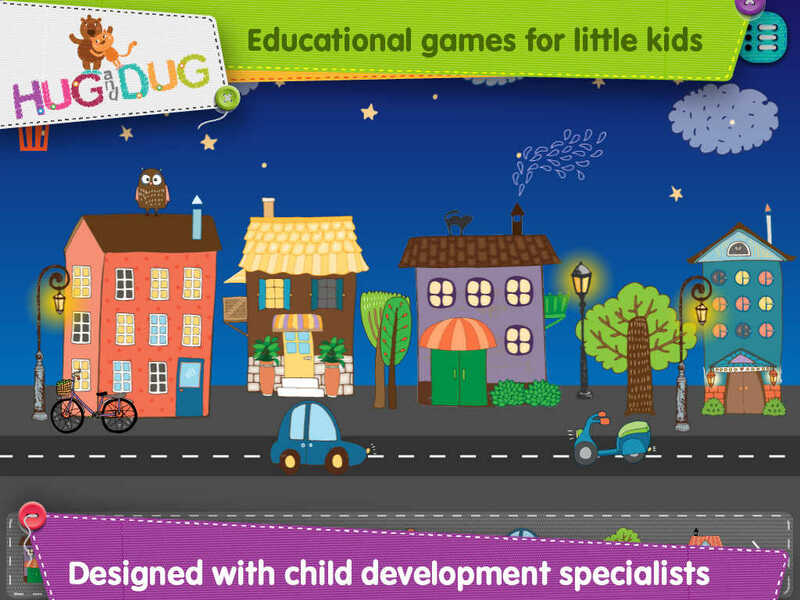 Each of the game events and elements were created with the consultation of educational psychologists in order to fit the cognitive abilities and motor skills of young children. The game was created for both individual and shared play. It can be used by parents, caretakers and even therapists as a tool to facilitate communication with a child about his inner thoughts. While playing with a caretaker the child can share experiences and feelings about their own feelings. New! Save your art work to the gallery.